Jesus Christ: Superstar or Son of God? Last Sunday night NBC televised live the rock opera, Jesus Christ Superstar, the adaption of Andrew Lloyd Webber’s and Tim Rice’s 1970 musical stage play. The storyline is told from the point of view of Judas Iscariot. In the opening song, Heaven on their Minds, Judas is speaking to Jesus and says. This talk of God is true. The entire Opera pictures Jesus as confused and doubting, questioning God, and wondering if he will be remembered at all. The Bible, however, clearly shows that Jesus knew and embraced his mission to earth. At age 12, he said, “I must be about my Father’s business” (Lk. 2:49). During his ministry he affirmed that he came to do “the will of the Father” (Jn. 4:37-39). Through his miracles, teaching, and interaction with sinners he confirmed that His work was “to seek and save that which was lost” (Lk. 19:10). Christ is pictured in the play as being angry, frustrated, and disconsolate. Overwhelmed at the crowd seeking healing, he even hints that he’s powerless to heal them all. However, the Bible says Matthew 12:15 says that when Jesus tried to withdrew himself and the multitudes followed him “He healed them all.” No one was turned away. Superstar suggests that Jesus was impure in His relationship with Mary Magdalene, who supposedly was a prostitute. Judas objects to Jesus’ relationship with Mary and warns him that a scandal will erupt if He’s not careful. The Bible doesn’t say Mary was a harlot. It does say Jesus cast 7 demons out of her and along with other women, she was a follower of Christ (Lk. 8:2). Furthermore, Peter affirmed that Jesus was sinless and free from deceit (1 Pet. 2:22). 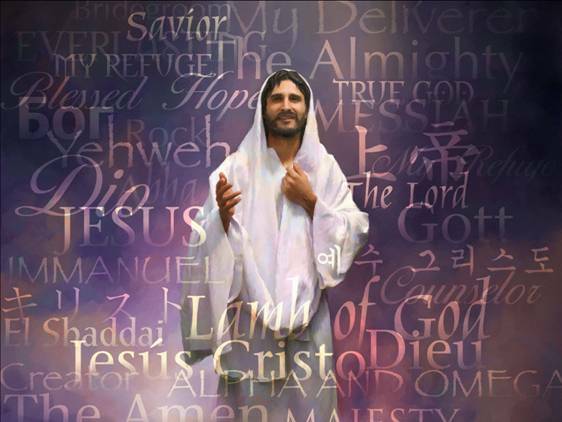 The Hebrew writer describes Jesus as “holy, harmless, (and) undefiled (Heb 7:26). Then in Mary’s song, “I Don’t Know How to Love Him” she sings “He’s a man. He’s just a man.” This is contrary to the Bible account that shows that Mary was an ardent disciple of Jesus, a believer, who was present at the empty tomb and saw the resurrected Savior (Lk 24:1-10). I must be out of my head! Look at your blank faces! “Can you show me now that I would not be killed in vain? Superstar is wrong. Jesus Christ was and is the Son of the living God.